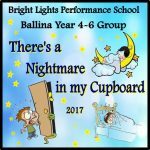 To enrol please fill out the enrolment form and return it to Brian via email or post. The $50 insurance/administration levy payment guarantees you child a place. Please pay this as soon as possible. 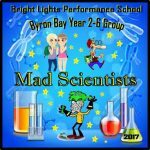 Byron Bay Year 2-4 Group: – Tuesday 4:00 p.m. to 5:15 p.m.
Show: Byron Public School Hall, Saturday 14th September 4.30 p.m.
Byron Bay Year 5-6 Group: – Wednesday 3:45 p.m. to 5:00 p.m.
Show: Byron Community Theatre, Saturday 5th October 6.30 p.m.
Byron Bay Secondary Group: – Wednesday 5:00 p.m. to 6:30 p.m.
Ballina Year 4-6 Group: – Thursday 4:00 p.m. to 5:15 p.m.
Show: Ballina RSL, Sunday 1st September, 2.00 p.m. and 6.30 p.m.
Ballina Secondary Group: – Thursday 5:15 p.m. to 6:45 p.m.
Show: Ballina RSL, Sunday 15th September, 2.00 p.m. and 6.30 p.m.
Ballina Junior Musical Theatre Group: (Primary year 4-6 and Secondary year 7) – Tuesday 4.15 p.m.to 5.30 p.m. 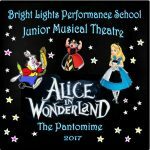 Course 2: Commencing 14th May; 20 sessions; stage awareness/performance skills, culminating in a production at Byron Community Theatre on Saturday 21st, Sunday 22nd and Sunday 29th September. Cost: $300. Extra Sunday and theatre rehearsals will cost an extra $50. 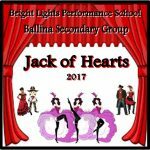 Show: Byron Community Theatre, Saturday 21st, Sunday 22nd and Sunday 29th September, 2.00 p.m. and 6.30 p.m.
Ballina Senior Musical Theatre Group (Secondary years 8-12): – Tuesday 5:30 p.m. to 7:00 p.m. 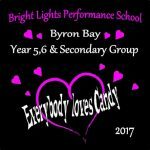 Course 2: Commencing 14th May; 20 sessions; Show rehearsals, stage awareness/performance skills, culminating in productions at Byron Bay Community Theatre on Saturday 21st, Sunday 22nd and Sunday 29th September. Cost: $315. 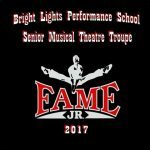 There will also be extra Sunday and theatre rehearsals held closer to show time that will incur extra costs, of around $50. Ballina RSL, Sunday 10th November, 6.30 p.m.